Áve María, grátia pléna, Dóminus técum. Benedícta tū in muliéribus, et benedíctus frúctus véntris túi, Iésus. Sáncta María, Máter Déi, óra pro nóbis peccatóribus, nunc et in hóra mórtis nóstrae. Ámen. You may be scratching your head and saying, “Well, that’s Greek to me.” Actually, it’s not Greek, but it is LATIN. It is the traditional Ave Maria prayer that has been set to some of the most beautiful music. My favorite rendition is Gounod’s setting of the prayer to his own arrangement of Bach’s Prelude No. 1 in C major, BWV 846. The prayer reads in English as follows. “Hail Mary, full of Grace, the Lord is with thee. Blessed art thou among women, and blessed is the fruit of thy womb, Jesus. It is a prayer to the Jesus Mother Mary, who is seen by Roman Catholics as set apart from other women because she is the Mother of God Incarnate. Some protestants like to state that this is idolatry; however, it really is NOT idolatry but rather an expression of reverence to Mary who did, Biblically speaking, who was set apart and chosen by God to bear God’s incarnation into the world. As a Protestant, I do not believe praying to Mary herself is necessary, or even effectual, but I do understand what is at the heart of it even if I believe it to be unnecessary and misguided. The issue I have with this prayer, and our general image of Mary, is that it paints her as someone who is too holy to be human. We imagine her as a reverent, quiet, compassionate, loving woman. We think of her as having a halo over her head and as having guided Jesus from childhood to adulthood and preparing him for his ministry. Roman Catholics, in fact, have the doctrine of the Immaculate Conception, in which lies the belief that God removed Mary’s sin at the moment she was born. In other words, she was born untainted by sin due to God’s divine will. This doctrine officially came about under Pius IX during the 12th century in order to explain how Jesus was born without sin. If his mother was without sin due to divine intervention, then that makes the explanation easy. Sadly, it also takes away the divine mystery of the Incarnation. What’s more, the Gospels do not all agree on how much on board Mary was with Jesus or his ministry. The power of the song, “Mary, did you Know?” (one of my all-time favorites), lies in the Biblical possibility that Mary did NOT know. For instance, while in Luke Mary clearly knew what was going on, in Matthew it is less clear how much she knew. In Mark, she seems to not only be ignorant to Jesus’ teachings and methodology, but to also be disapproving of him doing ministry in the first place. Don’t know what I am talking about, read the today’s suggested Scripture. The challenge for us is to recognize that each of us is human. We must not put anyone on a pedestal as if they are holier than the rest. Whether it be Mary, the apostles, our pastors/priests, etc., each human being is just that: a human being prone to wander and sin. The only one who was and is sinless is Jesus Christ, the Lamb of God. Let us put our trust in Jesus and show the kind of humble faith that Christ is calling for. “Do not let your hearts be troubled. Trust in God; trust also in me.” – Jesus Christ in John 14:1. Lord, I place my trust in you. Have mercy on me when I don’t and guide me toward trusting you again. Amen. We all know the Nativity Story, right? The angel Gabriel appeared to the Virgin Mary and told her that she will be with child, who is to be named Jesus, and that her barren cousin is already 6 months pregnant. She humbly accepted it and went on a road trip to visit her cousin. When Mary arrived, the baby in Elizabeth’s baby jumped for joy at the sound of Mary’s voice. Mary praised God and texted a psalm to Elizabeth as a keepsake. okay, she didn’t do that, but she did sing a new psalm to God. Have you ever wondered how that got recorded if no one was there to witness it or write it down? Anyway, Mary returned home and Joseph noticed that she was pregnant, which was obviously pretty big surprise to him. He thought about quietly dumping her, but an angel came to him in a dream to tell him that the Holy Spirit got Mary pregnant and that her child was actually the SON OF GOD. Joseph took Mary as his wife and then set off to Bethlehem to comply with a census that Caesar Augustus made the Jews participate in. There in Bethlehem, Mary’s water broke and the poor couple ended up searching house to house, inn to inn, in order to find a place for her to deliver baby Jesus. With there being no room for her at the inn, let alone anywhere else, Mary and Joseph found a stable and laid Jesus in a manger wrapped in strips of cloth. Following that, she was visited by Shepherds who were told by a choir of angels that the child was being born. She was also visited by three wise men who bore gifts of gold, frankincense, and myrrh. Herod, fearing that a new king was born, ordered that all male children 2 years old and younger be slaughtered, but the Holy Family escaped into Egypt. Following the death of Herod Mary, Jesus and Joseph returned to Israel and settled the Galilean town of Nazareth. While this is the story we all know, the truth is that it IS NOT the nativity story that is found in the Bible. Don’t get me wrong, all of the elements listed above (minus Mary texting Elizabeth) are found in the Gospels…but not altogether. In Matthew, Joseph finds out Mary is pregnant and chooses to marry her after a dream. It is in this Gospel that we find Herod and the wise men visiting Jesus in a house, as well as the Holy Family’s flight into Egypt. In Luke, we find the story of Gabriel telling Mary she and Elizabeth are pregnant, of the angels singing to the shepherds who also visit the holy family, of the trip to Bethlehem, and of Jesus being born in stable, wrapped in strips of cloth and laid in a manger. The two stories are actually remarkably different from one another. If this is a surprise to you, if you didn’t realize that Matthew and Luke both had different stories to tell when it came to Jesus’ birth, then it is time for you to read each of the Nativity stories for yourself. Many have looked at the differences and called them contradictions; however, they are not contradictions as if Luke and Matthew were written to be factual histories; rather, the two Gospels were written as theologies and both give a unique insight into the birth of Jesus and the significance that the advent of the Christ-Child has for the world. Neither story is definitive or complete, but are meant to be glimpses into the activity of a God who refuses to give up on humanity even when humanity has given up on God. Today’s challenge is for you to search the Gospels, read them closely and make note of their commonalities and differences. In doing so, you will have a much deeper and dynamic view of the Christ who came as a Savior for the world. Lord, stir in me a desire to study Scripture; however, also spark in me the desire to go beyond just studying Scripture into the realm of living by it. Amen. While it is important to keep moving forward, sometimes it is also important to pause and look back at what we’ve learned from the past. With that in mind, let’s take a look at this post from December 2012. It is just as relevant now as it was then. 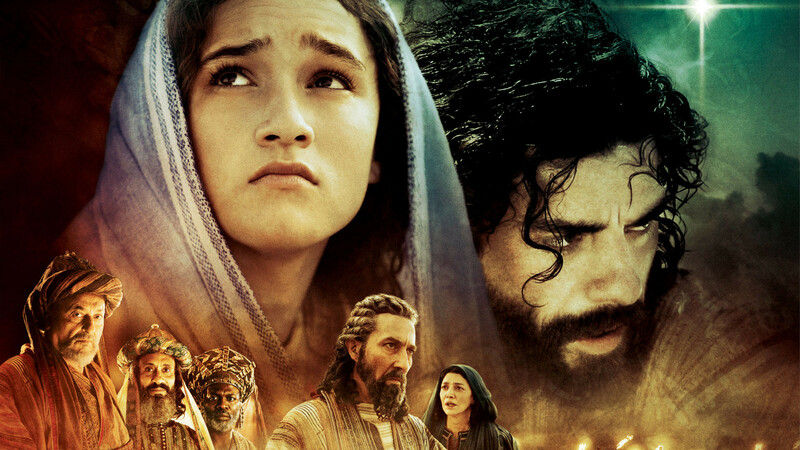 In the film that came out a little while ago, Son of God, the story of Jesus of Nazareth was chronicled. It started off with Jesus walking toward the Sea of Galilee, heading to its shores to recruit a certain fisherman by the name of Peter. From there he gathered up more disciples, twelve in all. Of course, Jesus also had many followers who followed him around from place to place as he traveled the Galilean countryside. If you are questioning that I would like to pause here for you and explain. 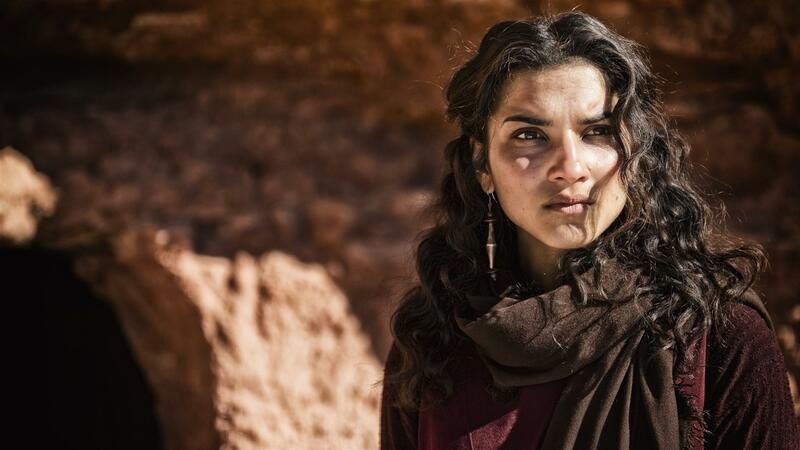 Mary Magdalene is often mistakenly identified as a prostitute; however, if one reads the Gospel accounts you will not find such a description of her anywhere. The most one can find of Mary, prior to her knowing and following Jesus, is that she was among the women whom Jesus “cured of evil spirits and infirmities.” In fact, the author of Luke says that Jesus had cast “seven demons” out of her (Luke 8:2). Luke’s Gospel, which was the third one written (circa 80-90 C.E. ), is the only Gospel to mention that Mary was possessed by demons, so it is hard to tell whether or not Mary was known for being demonically possessed in the time of the earlier accounts of Mark and Matthew (Note: Mark 16:9 also mentions that Mary was possessed by seven demons; however, Mark 16:9-20 is a later addition to Mark and not in the original manuscripts), or if it is a later addition to the story. Regardless, Mary was certainly not a prostitute and was certainly a close follower of Jesus as she is mentioned as such multiple times throughout all four Gospels. With that said, being a follower does not necessarily make one a disciple. Disciples were students, and thus as Jesus students the disciples had greater access to the Jesus than the mere follower did. They learned from him, they aided him in his ministry and they were given an inside look at his parables and at Jesus’ messianic plan. While the Gospels do not explicitly name Mary as a disciple of Jesus’ in the formal sense, they do show her being among the women following Jesus. Not only that, but she and the other women were supporting Jesus’ ministry with their resources (Luke 8:3). What’s more, it is to Mary Magdalene and the other women, that Jesus reveals himself to immediately following his resurrection. It is Mary and the other women who first get the command to go and tell others of the Good News (aka Gospel) of Jesus’ resurrection. Again, while the Gospels may not explicitly call Mary a disciple, I feel there is little doubt she was. The Gospels, ALL FOUR OF THEM, have Mary being the first witness of the risen Christ and the first one to spread the Good News to the rest of the disciples. If Mary, in a time when women were considered little more than property, can be considered a disciple of Christ, who can’t be? That is, indeed, the GOOD NEWS! Jesus Christ has risen and ALL are called to be in on what he’s about to do next! ALL are called to be a part of his messianic plan of redeeming the world and returning it back to a paradise where all creation lives in love and peace! Are you ready for what God is going to do? Be like Mary and respond to that call! Lord, I wish to be your disciple. Teach me all that I need to do your work in this world. I give to you my time, my presence, my treasures, and my all. Amen. Each Gospel writer saw the significance of Christ’s coming in different ways. For Mark, the first of the writers, Jesus’ birth was of no concern; rather, he started with Jesus’ baptism as the advent of the Christ. Matthew, on the other hand, did include the birth story of Jesus who, for Matthew, was the KING of all kings, the new Moses, the One who came to teach and to fulfill the Law. When Herod died, an angel of the Lord suddenly appeared in a dream to Joseph in Egypt and said, “Get up, take the child and his mother, and go to the land of Israel, for those who were seeking the child’s life are dead.” Then Joseph got up, took the child and his mother, and went to the land of Israel. For Luke, Jesus was not the KING of kings. After all, it was the kings who had been corrupted with power and greed. This Christ-child had to be more than just a KING of kings. Who did Jesus spend his time with? Who did Jesus do ministry with? Kings? Nope. Jesus’ ministry was with the poor, and when rich people came to Jesus…he advised them to sell all of their possessions, give the earnings to the poor and follow him! It was the kings of the world that brought Joseph and Mary to Bethlehem. It was the kings of the world, seeking to have power over their subjects that brought the KING to the town of his ancestor David. Jesus was a KING…indeed! He was the KING of the poor and the oppressed. He was the champion of all of those the world had shunned and turned away! In those days a decree went out from Emperor Augustus that all the world should be registered. This was the first registration and was taken while Quirinius was governor of Syria. All went to their own towns to be registered. Joseph also went from the town of Nazareth in Galilee to Judea, to the city of David called Bethlehem, because he was descended from the house and family of David. He went to be registered with Mary, to whom he was engaged and who was expecting a child. While they were there, the time came for her to deliver her child. And she gave birth to her firstborn son and wrapped him in bands of cloth, and laid him in a manger, because there was no place for them in the inn. In that region there were shepherds living in the fields, keeping watch over their flock by night. For the author of the Gospel of John, Jesus’ earthly birth and the details therein were unimportant. For this Jesus was indwelt by the very Word of God, the very Spark of all of Creation. Jesus preexisted his earthly form and preexisted all of Creation. For the author of John and his community, Jesus was so much more than a KING of kings, or than a KING of the poor. Jesus was KING and LORD of all Creation, who then took on flesh and made his dwelling place among us, full of grace and truth. Behold the true light of GOD as come into the world, and not even the darkness can snuff it out. All Scripture passages are taken from the New Revised Standard Version. So, it is the day after Christmas Day and as the angels in the heavens said to the shepherds two millenia ago, “I am bringing you good news of great joy for all the people: to you is born this day in the city of David a Savior, who is the Messiah, the Lord.” But before we move out of the Christmas season and into the New Year, I would like to take a moment to reflect on a psalm spoken by Mary when she first learned she was pregnant with Jesus. Now, can you imagine the scene of this? An angel appears to this 14 year old girl and tells her that God is going to make her pregnant. Come again!?!? “Mary said to the angel, ‘How can this be, since I am a virgin'” (Luke 1:34)? Can you picture the horror of the idea of this, in a time when women were considered property; in a time when women were stoned for “getting pregnant” outside of marriage? Mary must have been truly frightened, yet she answered, “Here am I, the servant of the Lord; let it be with me according to your word” (Luke 1:38). Following this, she praises the Lord with an original Psalm that comes from her heart. She starts it off with the following statement, “My soul magnifies the Lord” (Luke 1:46). Now if you are reading that statement carefully, it should cause you to pause and ponder. How can the soul of Mary, a mere peasant girl, magnify the soul of El Shaddai, or rather, God Almighty? How can the soul of a lowly human being ever magnify God…shouldn’t it be the other way around. Shouldn’t it be that God magnifies Mary’s soul? Yet, in Mary’s statement we see an inherent truth that perhaps sets her apart from most people. Whereas, when we think of God, we are looking for something big, Mary saw something small. Where we are looking for a grandiose Zeus in the sky sitting on a golden throne, Mary saw a precious, vulnerable, and helpless baby. To take it one step further, not only did Mary see God in her child, but she saw God in herself. And it was in her qualities of humility, of meekness, of lowliness, of smallness, and of faithfulness that she saw God magnified. We are so busy looking for something big, something out of this world, and something magical that we often miss the presence of God entirely. In the movie, Enter the Dragon, Bruce Lee says, “Like a finger pointing to the moon…don’t concentrate on the finger or you will miss all of that heavenly glory.” Often times, we focus so hard on concentrating on miracles…looking here and there for them…that we miss the miracle itself. Mary did not miss the miracle. She knew the miracle was not just around her, but within her. That she was born in a time when many babies died…Miracle. That she was not stoned for being found with child outside of marriage…Miracle. That Joseph accepted a dream as reality and accepted Jesus as his son…Miracle. That anyone would see God within them…including Mary…Miracle. Rather than looking for Kings and kingly gifts, rather than looking for dazzling parlor tricks and illusions, let us recognize the true Miracle of Christmas…that God is not only with us, but revealed and magnified within us. If your soul rejoices in God the way Mary’s did, how differently will you begin to live your life. Make this your New Year’s resolution: See God within you and let your soul be a magnifying glass…not only in word but in deed. Let your soul say, as Mary’s did, “Here am I, the servant of the Lord; let it be with me according to your word” (Luke 1:38). Lord, help me to see you within me, and help let my soul magnify you, O Lord God. I am your servant. Amen. I would like to tell you as story of a teenage girl who lived in a very tight-knit community. She was, like the rest of her peers, expected to attend to the daily chores that were given to her each day. She was expected to carry herself in a way that brought dignity and honor to her family. Like all families, her family expected that she was always on her best behavior and that she didn’t do anything to hurt her family’s name or image. Her father was blue-collar, working class man. The girl’s family was pretty impoverished and what little they had came at the cost of much blood, sweat and tears. The family never knew what tomorrow might bring and they could not afford to take anything for granted. In fact, an offer had come to the teenage girl’s parents, one that her family could not afford to pass up. A man had asked the girl’s father for her hand in marriage and, with such an offer, a dowry was sure to follow. The girl was expected to comply with her parents and to marry the man they had arranged for her to marry. But then one day, in the midst of their engagement, the girl is seen to be with child. The groom-to-be is astonished. He swears to the parents that he has never known her the way a husband knows his wife; he swears that the child growing in her belly cannot be his. The parents, horrified, could not believe what their daughter had done; the community she lived in shunned her as a sinner, everyone looked down at her with contempt. This is the story of Mary, a young teenager from Nazareth, who was suddenly found to be with child even though she had not yet been married. Can you imagine the panic and terror that must have filled her when she first realized she was pregnant. Though, the author of Matthew tells us that Mary was with child “by the Holy Spirit,” one has to wonder whether she knew it or not. The author of Matthew doesn’t exactly say. What he does point out is Joseph’s initial reaction to the situation. He could not believe she was pregnant and he knew the child was not his; one thing was for sure, he was not going to marry her. When we read this story, we often pass Joseph’s reaction off because we know how the story ends. We know that Jesus is the Son of God and, therefore, Joseph just seems like a guy who has little faith, until God wakes him up in a dream. Yet, in reality, we all need to be woken up in such a dream. After all, how many times have we passed judgment on the actions of others without truly seeing what God has in store for them? How many times have we seen a pregnant teen, an unruly child, or some other person who doesn’t fit our understanding of pure and wholesome? How many times have we passed judgment on those people? Often times, we are much more like Joseph, quick to let our thoughts and our judgments run wild before really pausing to listen to what God is saying to us. We often need to be woken up in a dream that shows us that the very things we are laying judgment on are filled with God’s potential if we just show love, acceptance and support rather than scorn, contempt and judgment. Thankfully, Joseph woke up from that dream with a changed heart and chose to embrace Mary and the Christ child she was bearing! Thankfully, Joseph laid his judgments down and, as a result, unto us a hope, healing and wholeness was born into the world. The question is, will we be woken up in a dream like Joseph? This Christmas, may the advent of that awakening be within you; indeed, may it be within us all! Lord, help me to avoid falling into the trap of judgment. Instruct me in your ways of unconditional love, O Lord. Amen.